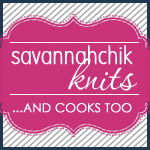 Knitting Olympics – What to do? I’ve joined the Knitting Olympics this year. I didn’t join last summer’s and I missed it. I’ve been thinking a lot about what I want to do but I haven’t come up with THE thing yet. I could focus on my single socks – I have six singles right now. Challenging? Yes. Enjoyable? No. Ok…nix that. I could pick a sweater’s worth of yarn from my stash, but guess what? I don’t have many sweater quantities of yarn any more (I’ve been selling off most of them because I’m not interested in them any more). The few that I do have probably need to go on the selling block too. 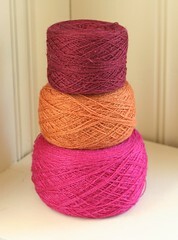 I’ve considered using some of my laceweight and making it into a lightweight sweater. 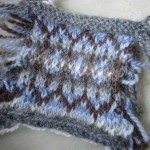 I have 3 shades of zephyr that could be lovely in some kind of gradiated pullover. It’s not speaking to me though. So, what we get to (yet again) is working some more of the sock yarn stash. 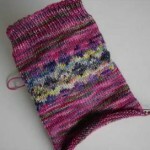 Knitting Child’s First Sock has reinvigorated my love for Tess yarn. 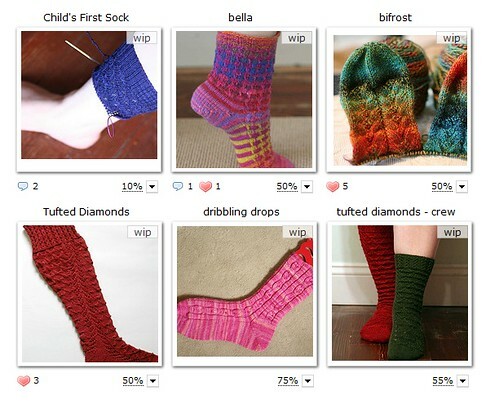 So much so that I want to be able to buy more Tess Sock yarn at MDSW in May. Yep, I’m fully aware of the nonsense that that statement makes when paired with my “reduce sock yarn stash” goal. My latest thinking is to get through enough yarn for 2 more pairs of socks during the Knitting Olympics. Leading up to it I may even try to knock out at least 1 of my sock WIPs. How much sock yarn do I need to knit through to be able to get some more Tess in May? I’m thinking at least 5 pairs of sock yarn – that’s over 1 per month. Doable, but not easy. Guess I best get knitting. maybe use some laceweight held double to knit up some mitts?? I’ve been churning them out lately! Very satisfying and FAST!! Well, if it helps, I think all of the socks look fantastic. Knitting Olympics! I should join too. So many projects I’ll want to do…to find one I can definitely finish in two weeks….hmmm…I can see why you were having trouble finding one. I think you have a solid plan…maybe I should just commit to finishing the seaming on the 3 sweaters that are wips. hmmm…. Yipeeee!!! I’ve finally found someone with more single socks than myself. That Tess yarn is definitely to die for and anything you can do to justify getting more sounds good to me! 😉 So good to see you this weekend!